Turns, flips, moves and carries food when grilling or preparing foods. Makes lifting, flipping even large items (up to 8 pounds) very easy, including whole chickens, whole rack of ribs, large brisket, corn on the cob, etc. Ideal for use in the preparation of breaded food items … such as egg plant parmesan, breaded chicken, etc. Lift, flip, dip and place on the cooking tray. Does not bleed or mark the food. Used in homes around the world to make great meals easy. Made of 300 series surgical stainless steel. 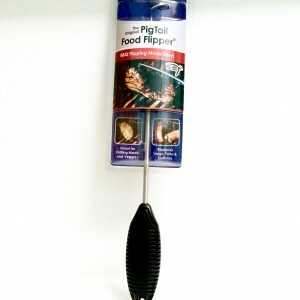 The Original PigTail Food Dlipper® may have an unusual name, but this revolutionary cooking tool is one of the best available. The PigTail’s unique design is different thant the tongs, spatulas and forks you may be using, but it actually increases your speed and accuracy as well as reduces damage to your food when cooking on the grill. It’s also easy on your wrist and joints. 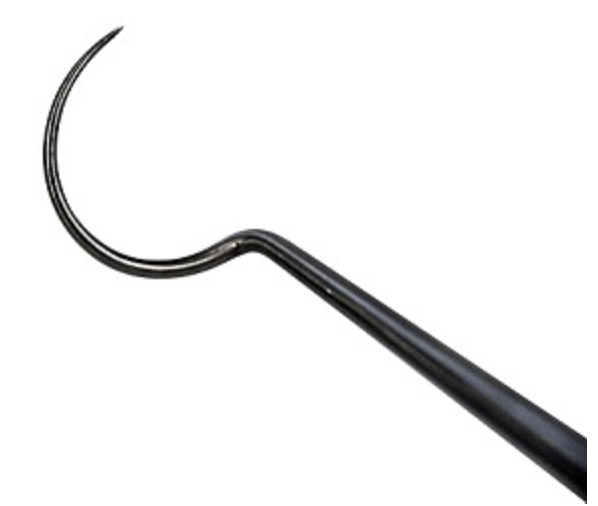 The end of the Original PigTail Food Flipper® is tapered with a sharp, spiral snare. This allows you to lightly pierce any food to turn, flip, carry or move it with ease and never squeeze out juices or marinade. No need for clumsy tongs, spatulas or forks. Use it at the grill to turn racks of ribs, hot dogs, veggies, steaks, burgers, chops or chicken. 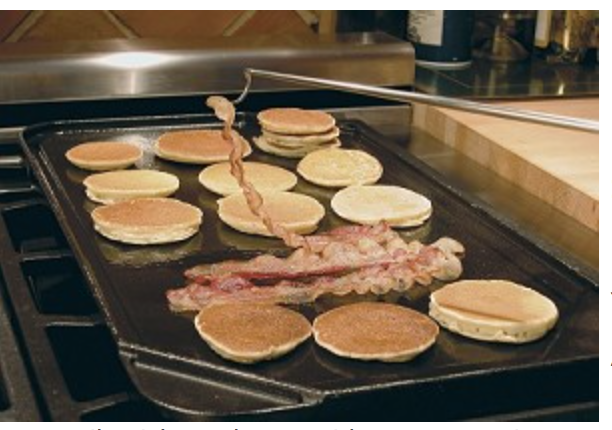 In the kitchen, flip bacon, move backed potatoes, flip french toast, dip eggplant when battering and more. 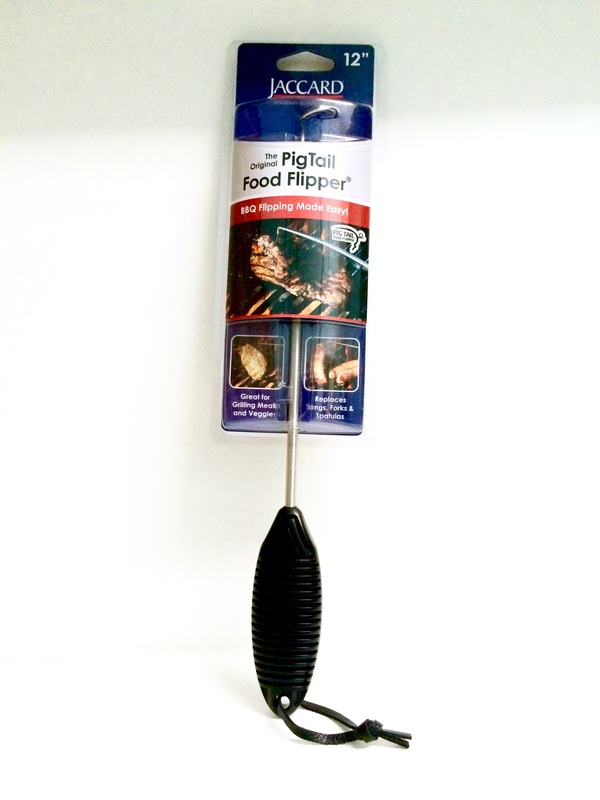 The Original PigTail Food Flipper® is also an excellent tool for cleaning your grill grates after grilling. Simply place the PigTail snare over each grate and push/pull back and forth along the grate to remove any food particles. 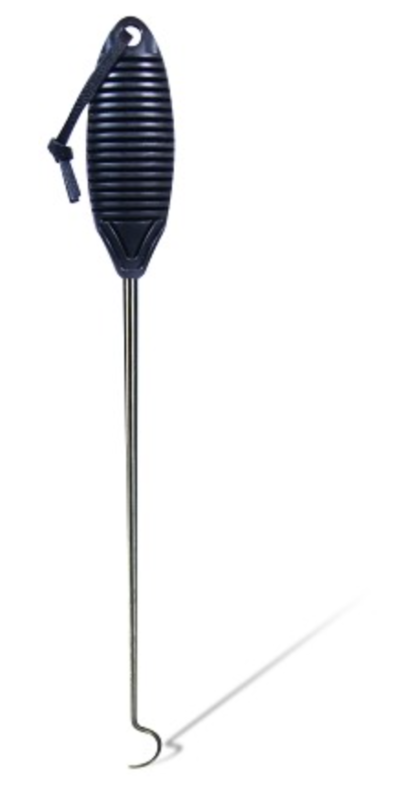 This food flipper come in a 12 inch shaft, the Original PigTail Food Flipper is constructed of surgical grade stainless steel and backed by Jaccard’s exclusive LIFETIME REPLACEMENT GUARANTEE.